Why be concerned about roofing? In many instances, a roof doesn’t get any consideration until water begins leaking into the building. This is especially true with roofs of commercial buildings, where flat roofs and parapet walls truly put roofing concerns out of sight and (thus) out of mind. 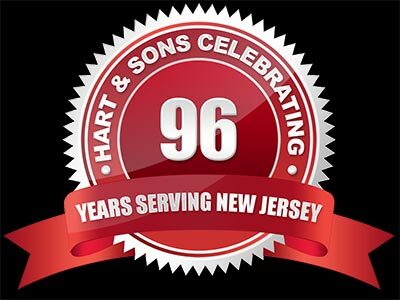 At Hart & Sons we know how convenient it to be to simply ignore a small roofing problem. However the longer you wait to address it the worse the problem tends to become, and can lead to considerable damage if you aren’t vigilant. Our expert specialists are ready to inspect your roof and provide you with a comprehensive assessment of its condition. If you require roof repairs, roof replacement or a new roof, we want to be your go-to contractor for all commercial roofing work. If you’re looking into commercial roofing there is good news and bad news. The good news is that there has never been more solutions available for commercial roofing products. Building owners have a wide selection to choose from, whether they need a new roof system, a reroof, or a roof replacement. The bad news is that with all the commercial roofing options that are available to you, deciding on the most suitable roofing system for your building has become even more difficult. All assorted roofing types with acronyms such as SPF. TPO, EPDM, etc. can make it more confusing. 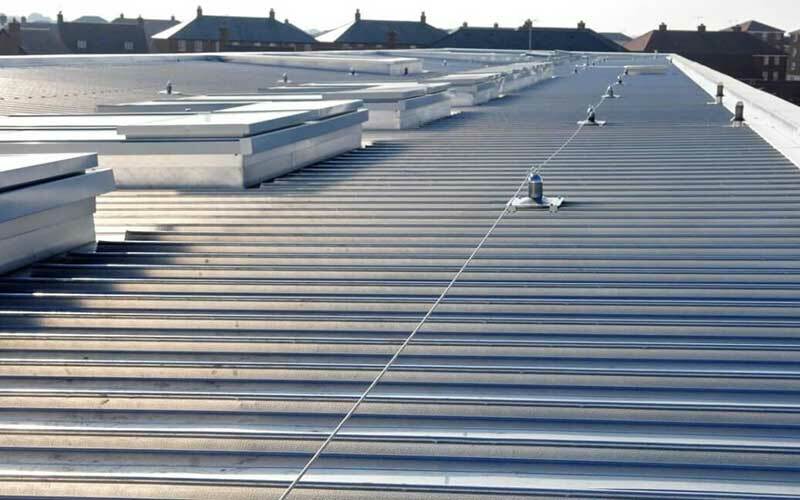 If you are unsure of the type of commercial roofing that you require, there is no need to panic, we are here to help out. Hart & Sons will help you choose a roofing or reroofing treatment that matches your budget and your building. Commercial roofing is sometimes described by the type of roof on the building: flat, low slope, shed and steep slope, for instance. You could also hear it referred to by the installation technique: built-up, standing-seam, single-membrane, etc. The most straight-forward way to describe roofing is by the specific material that the roof is made of. Here are a few of the main commercial roofing materials in use today, and a brief description to help you determine which one might be the best choice for your building. Metal roofing is available in prefabricated panels, but also has the ability to be cut and formed on site. Not only is metal roofing especially low maintenance, but it can also improve the energy savings of your building. SPF (Spray Polyurethane Foam) roofing is a preferred roofing option for low-slope and flat roofs. 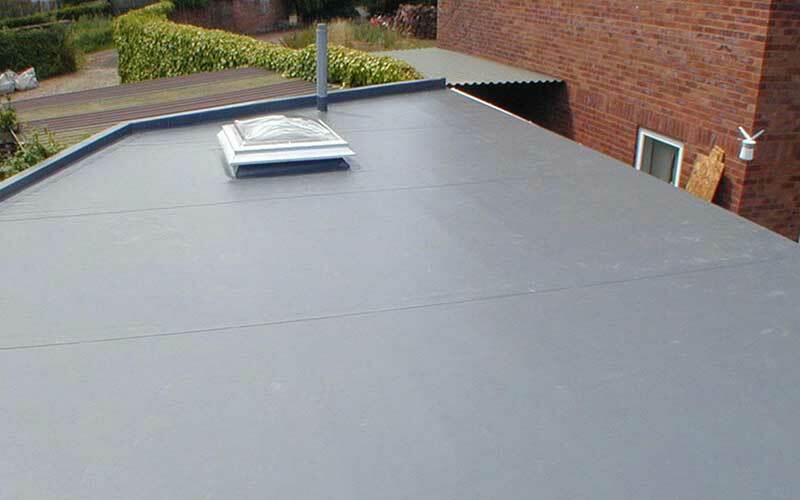 SPF roofing can be sprayed on over an existing roof, or applied to new construction. Since SPF roofing functions as roof insulation and doesn’t require flashing, it can actually cut down on your building’s energy bills which has made it a popular roofing option. EPDM roofing is occasionally identified as rubber roofing because this roofing membrane material is flexible and black like a rubber inner tube. EPDM is a practical option for both flat and low-slope roofs. Seams connecting adjoining EPDM sheets and metal flashing elements are typically sealed with special adhesive. 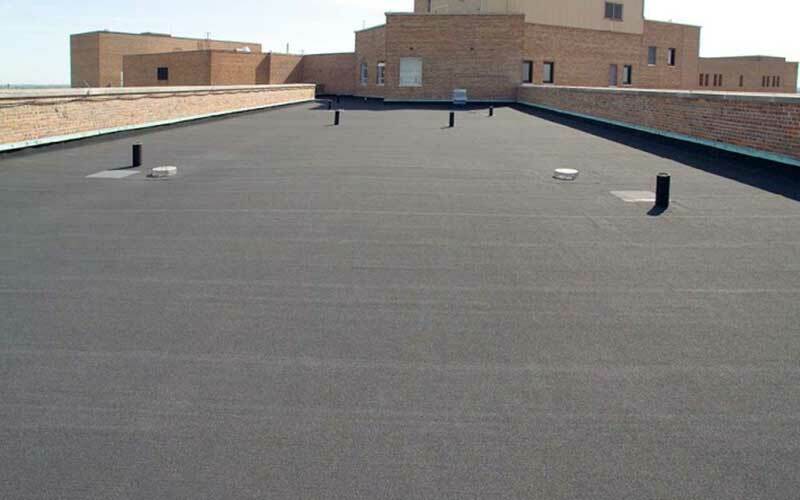 EPDM roofing has one of the longest lifespans of any commercial roofing option on the market. It is extremely durable and offers significant flexibility. Not to mention that of all the commercial roofing systems, EPDM is relatively simple to install and repair work is fairly straightforward as well. 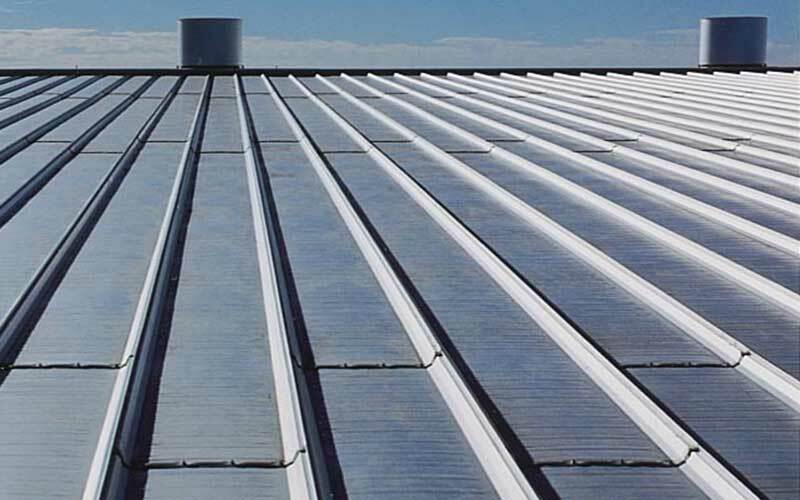 TPO (Thermoplastic Polyolefin) is similar to EPMD roofing since it too is a single-membrane roofing system. TPO membranes are rolled out on the surface of the roof and then merged together with heat, or sometimes mechanical fasteners are necessary. TPO roofing systems are among the fastest growing commercial roofing systems. This durable material tends to be exceptionally resistant to ultraviolet light and chemical exposure. The white TPO material used most often does a effective job of reflecting the sun’s rays, which helps to minimize the need for air conditioning in the summer months. TPO roofing have a high resistance to puncture, chemicals, and fires. The also stand up to high winds. This is why this durable roofing solution has a lifespan of over 20 years. Modified bitumen roofing is similar to other systems in that it is applied in rolls and then heated to adhere to the surface and seal seems. The popularity of more modern single-membrane solutions (EPDM & TPO) has reduced the demand for modified bitumen roofing. Asphalt shingle roofing will almost always be a popular choice. Plenty of commercial buildings with sloped roofs make use of asphalt shingles for weather protection. 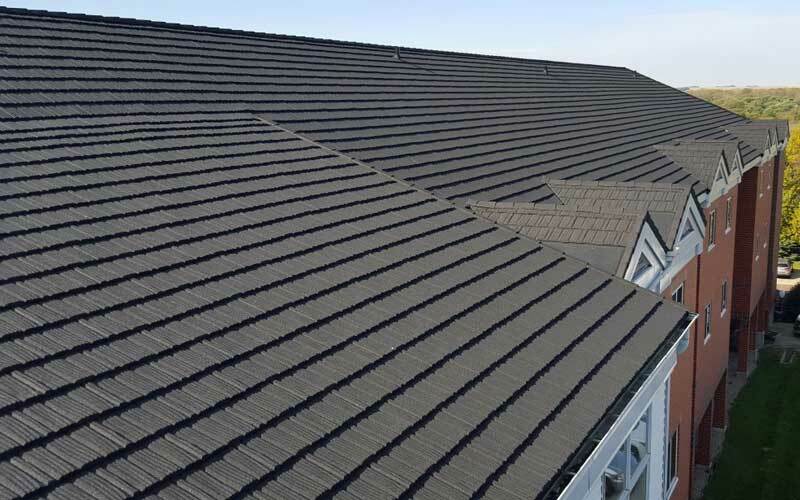 This roofing option is among the least expensive, and gives building owners many shingle styles and colors to choose between. The expert roofers at Hart & Sons are certified and trained to work with many different kinds of commercial roofing systems in Plainfield and the surrounding area. From roof repair to roof replacement, we can deal with all your commercial roofing needs. We make sure that your commercial property is protected. If you are in need of commercial roof repair, replacement or new roof installation, give us a call at (908) 258-6220 or send us an email to arrange an consultation today!